Chinese startup Xiaomi is often compared to Apple, partially because its CEO loves dressing like Steve Jobs and teasing “one more thing” at its events. But the smartphone maker may be taking its business cues from another American tech giant: Amazon. Xiaomi reported only 347.5 million yuan in net profit last year on a regulatory filing, Reuters reported on Monday, which works out to USD $56 million. That’s one tenth of the profit figure reported in November by the Wall Street Journal (citing a “confidential document”). [company]Xiaomi[/company], by some measures either the third or fourth largest smartphone maker worldwide, has great revenue, though. The same balance sheets reveal that the company maker recorded revenue of 26.6 billion yuan, or nearly $4.3 billion. That means Xiaomi’s operating margin works out to just 1.8 percent. Xiaomi’s profit looks like a rounding error, especially because the company sells a lot of phones — 16 million handsets last quarter according to Gartner. Xiaomi looks like it’s following the [company]Amazon[/company] business model: It’s dedicated to growth and expansion at the expense of profits. Since its founding in 2010 as a lean smartphone maker, Xiaomi has started producing branded tablets, headphones, televisions, wearable smartbands, routers and even stuffed animals. 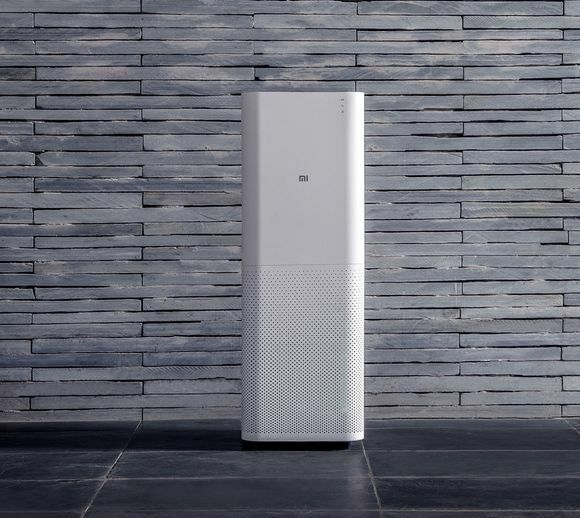 Last week Xiaomi announced a connected air purifier, marking yet another venture into the smart home. Xiaomi’s expansion knows no bounds: The company announced it wanted to plow $1 billion into Chinese internet video earlier this fall, and it even invested in American fitness tracker maker Misfit. Xiaomi is likely under less pressure to produce profits than a publicly traded company. Because it has so much momentum and is growing so fast in the world’s largest mobile markets, it appears to have no problems raising venture capital. Earlier this fall it was looking to raise funds at a valuation of $40 to $50 billion. Xiaomi president Lin Bin told the New York Times the company is looking to expand past China and India into Indonesia, Brazil and Russia. But one danger that comes with having such thin margins is that small bumps in the road associated with entering a new market can end up becoming major, expensive problems. One butterfly flapping its wings is the patent dispute with Ericsson that has resulted in Xiaomi products currently facing a sales ban in India. For companies like [company]Samsung[/company], which has been selling fewer phones in China and which has been suffering for it, Xiaomi’s profits put mobile industry challenges in perspective: If Samsung wants to compete on price with Xiaomi and other similar handset makers, it’s going to need to be comfortable with its operating margin significantly dropping from 18.7 percent, which is what it reported last year. I’ll point out that in 2013 Xiaomi was expanding greatly with lots of devices in development so ofc costs were high. The user base was a lot smaller.They used to have only the flagship phone, then in mid 2013 the Redmi showed up, in March this year the Redmi Note , a few months later the tablet. Without that context the numbers are misleading since most income is from accessories and software/services so the full benefit of a hardware sale is over the entire life of the device. With their crazy growth that matters, it distorts the numbers. Funny how everybody highlights Samsung a sthe guy with a problem not Apple when Samsung can always just adapt, Apple has always sold it’s Macs at 2x the price and would be unlikely to change that. BTW today they announced an investment of about 205 mil $ in Midea ( a big home appliance maker, big as in some 18.7B revenue last year and 250 mil units as far as i can tell). The next couple of years should be fun.